Properties in North East Derbyshire District average 4.6 out of 5 stars. Property 5: Stunning Views, Peace and Tranquility. Stone Cottage aptly named 'Miles Around'. Property 15: Quaint quirky 1790s cottage, cosy yet spacious, with 2 bathrooms and Internet. 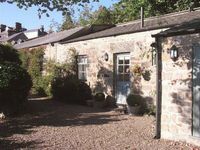 Property 17: Pathways Holiday Cottage a delightful 18th century stone cottage in Derbyshire.